The Holy Dzogchen Area is known throughout the world as a natural sacred land. It is where the Siltrom Snow Mountains and Rudam Canyon are located, and is a spontaneous manifestation of the mandala of Buddhas and Dakinis; it is also the natural charnel ground of the Herukas. Therefore, many supernatural beings, Bodhisattvas, Arhats, and Mahasiddhas came from South Asia and from other worlds. According to history, Dzogchen masters Shri Singha, Padmasambhava and Vimalamitra lived for many years in the Siltrom Snow Mountain caves in the Holy Dzogchen Area, and there hid many Dharma Treasures and bestowed blessings. Since then many practitioners in this holy place have attained enlightenment of Rainbow Body. 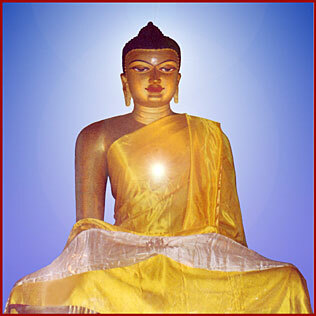 We can see thousands of extremely miraculous reminders and signs of the enlightened masters of those times. Guru Padmasambhava said, "This sacred land is a door to Nirvana and the window to all the Buddhas." It is the deepest aspiration of many practitioners to make pilgrimage to and practice in the Holy Dzogchen Area. Throughout the centuries practitioners there received teachings and blessings directly from Shri Singha, Padmasambhava, Vimalamitra, and many dakinis. 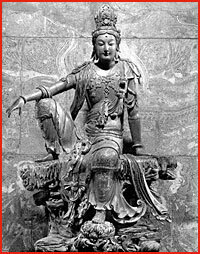 Dzogchen Padma Rigdzin saw Guru Padmasambhava many times. 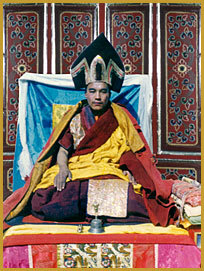 Dodrupchen Kunzang Zhenphen, Mingyur Namkhe Dorje, Gyalse Zhenphen Thaye, and Khyentse Yeshe Dorje have seen and received teachings and blessings from Shri Singha. All of them attained very high levels of realization by means of meeting these extraordinary enlightened beings. In modern times, practitioners continue to meet these masters. In 1924 Khenchen Tsewang Rigdzin came to the Holy Dzogchen Area, met Vimalamitra, and directly received teachings and empowerments. He then meditated for many years and achieved high realization. Later, in 1958, while being taken to prison by the Chinese army, he flew into the sky and disappeared in front of everyone. In another instance, an ordinary Tibetan hunter, Sonam Namgyal, secretly practiced the Dzogchen Nyingthig for many years in the sacred Dzogchen area and, in 1952, attained Rainbow Body in front of thousands of people. In 1977, our Master, Dzogchen Khenpo Choga Rinpoche received powerful blessings from Guru Padmasambhava and then in 1984, he received blessings several times from Shri Singha. 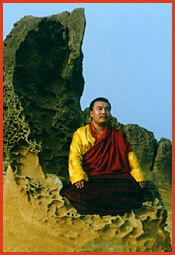 Today, we have the Dzogchen teachings in this world because of the blessings of this ancient lineage. Our deepest wish is to remind Vajrayana practitioners to remember the history of the Dzogchen masters. Without deep faith and certainty in the Dzogchen lineage, it will be difficult to receive its powerful blessings. Dzogchen Khenpo Choga Rinpoche has said that all practitioners of the Vajrayana should always remember the amazing life stories of the Dzogchen lineage masters because the blessings of the Dzogchen lineage are immeasurable and the power of the lineage is the heart of Vajrayana Buddhism. When you continuously remember the Dzogchen masters you will receive the power and blessing of the lineage and you will become a great practitioner and enlightened master of the Dzogchen lineage.